I primarily use radio telescopes to understand the interplay between cosmic environment and galaxy evolution, as well as the dark matter content of dwarf galaxies. I am also interested in infrared spectroscopy of globular clusters, using molecular gas to trace star formation in galaxies, and large-scale structure in the universe. Below are summaries of my general research interests. Click here to read further about my current projects. Dwarf galaxy evolution is influenced by both external and internal processes. The exact relationships are not always clear, however. Does the environment of a dwarf galaxy play a dominant role in its formation and evolution? Or do internal processes dominate? 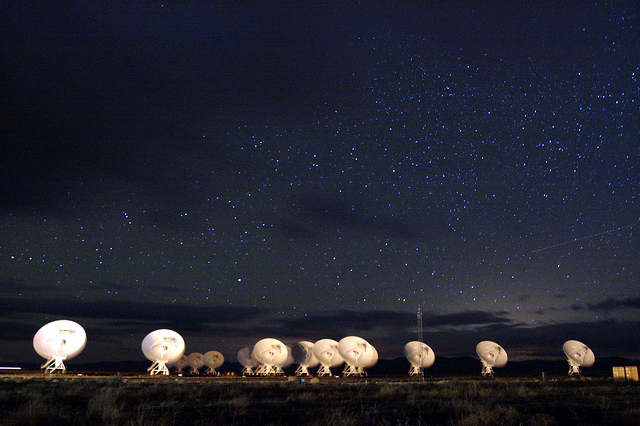 Interferometers like the Very Large Array (pictured above) can help us answer these questions by giving us detailed information about the gas in these dwarfs. We can compare this to the cosmic environment and tease out the complex relationships. The most widely accepted model of our universe (ΛCDM) predicts that we should observe many small dwarf galaxies surrounding larger host galaxies. The fact that we don't actually see these galaxies is known as the "missing satellites" problem. With current telescopes, a statistical approach to searching for dwarf galaxies can tell us how close we can get to filling in the gap between theory and observation. This also requires that we understand dwarf galaxy physics at the lowest masses. 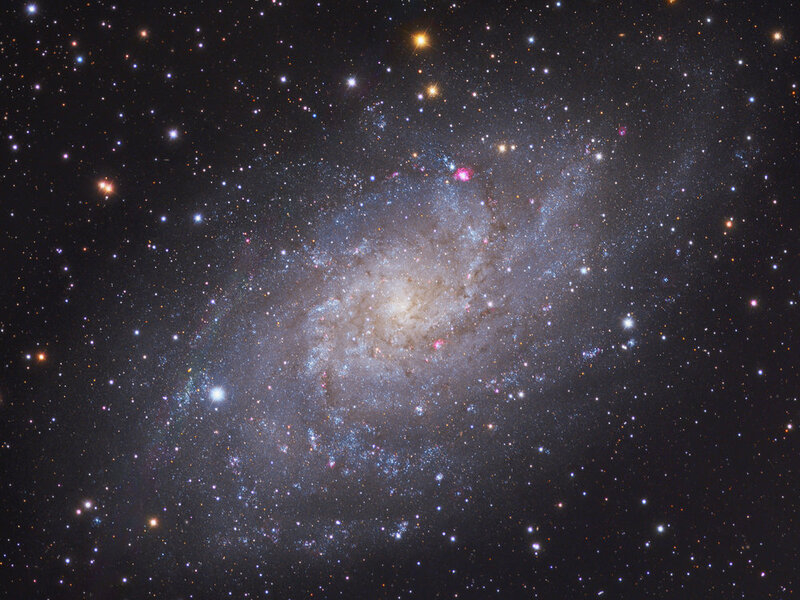 The Triangulum galaxy (also known as M33, pictured above) is a small spiral galaxy in our cosmic neighborhood. In fact, it is so close to our nearest neighbor Andromeda that we see evidence (using radio light) of material streaming between the two! This should affect the "halo" of the galaxy — the stars, clusters, and gas that are very far away but still bound to the galaxy. By studying the motions of globular clusters in M33's halo, we can get a better understanding of how such gravitational interactions affect the stars and gas.